When making a diet, the first thing you usually eliminate are the desserts. So today I propose you a light dessert based on partly skimmed yogurt, a dessert in which to take refuge when everything else is banned. The first thing to consider is the yogurt that must be used: it must be white yogurt without sugar (available in all supermarkets). I usually do it at home with the yogurt maker (a very low-cost kitchen tool), and putting to rest for about 8/12 hours a mix of UHT milk and lactic ferments (that you can buy at the pharmacy). In this way I get about a liter of sugar-free yogurt, without fats (if I use partly skimmed UHT milk) or slightly thicker (if I use whole UHT milk). Afterwards, I just add some sugar (but, as you will read, in really small quantities) and the isinglass, that is quite useful for making puddings, panna cotta, etc. 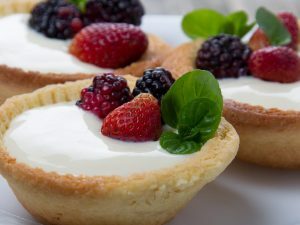 Finally – and here's the trick – to make your yogurt pudding even more pleasant, you can cover it with your favorite topping. 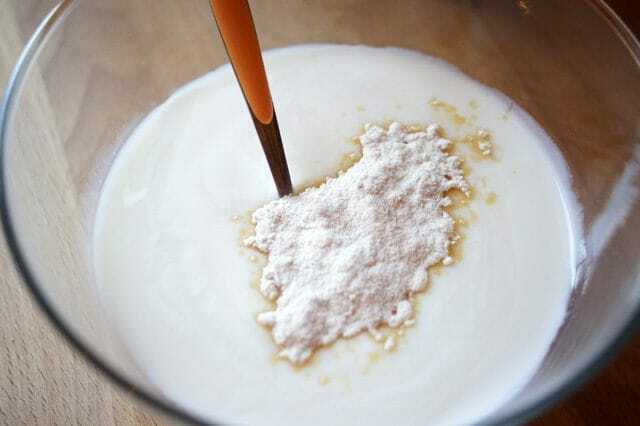 To make the yogurt pudding you just need a whisk, a bowl where to mix all the ingredients, an immersion mixer to powder the brown sugar, a small saucepan to melt the isinglass, and the molds. 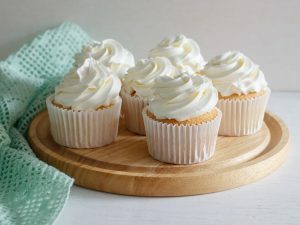 I suggest you use single-portion molds or – even better – small glasses or cups where you can rest the pudding in the refrigerator and then serve it directly, without needing to take it out of the glass/cup but simply decorating it with the topping. This trick will make it even easier to make the yogurt pudding. 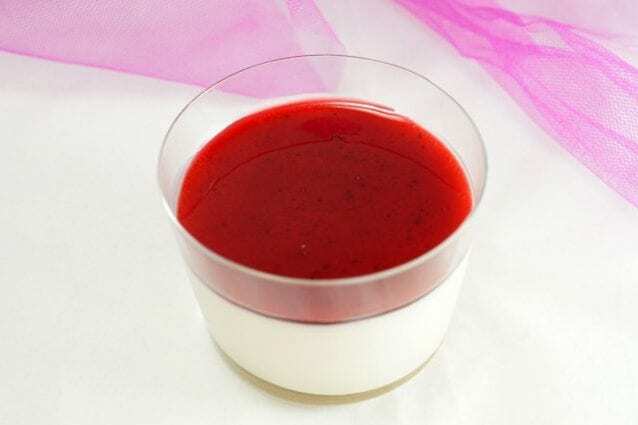 Let’s start to make the yogurt pudding with the preparation of the ingredients: so, get the isinglass, the milk, the brown sugar and – of course – the yogurt. First of all, soak the isinglass in cold water. 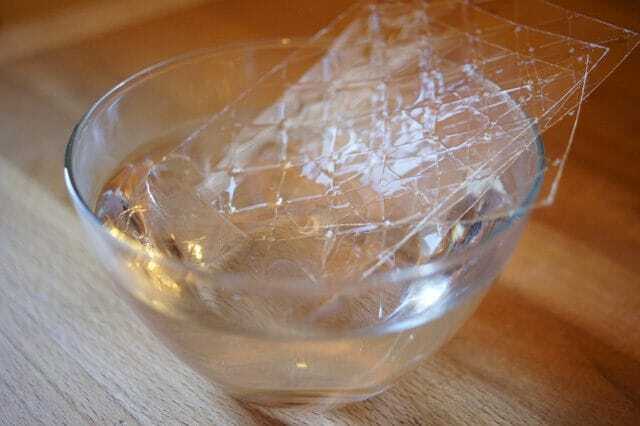 In this way, the stiff sheets of isinglass will soften, and you can combine them with the other ingredients. With the immersion mixer, crush and powder the brown sugar (it will only take a few minutes). 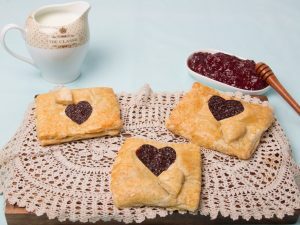 It is preferable to use powdered sugar because the preparation is cold, and reducing the brown sugar to powder it will amalgamate itself better with the other ingredients, melting perfectly. 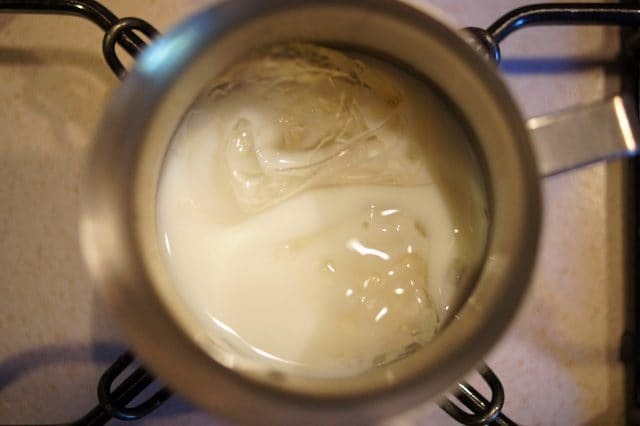 Heat up the milk and put the isinglass sheets in it (after having drained and squeezed them). Leave them on the stove, lowering the flame to a minimum, just enough time to melt them, stirring constantly to speed up the process (you will see that it will take just a few seconds). At this point in a bowl put the yogurt, the powdered brown sugar and the milk in which you have melted the isinglass sheets. Amalgamate well but gently all, with a whisk. As I told you in the introduction of the recipe, I prefer to use single-portion glasses for this yogurt pudding. 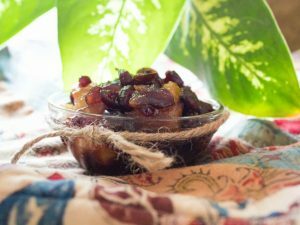 Then divide the mixture into each small glass, helping yourself – if necessary – with a ladle, put everything in the refrigerator and let it harden for about three hours. When serving yogurt pudding, just cover every single portion with your favorite topping. I used the one with wild strawberries, a taste that goes very well with yogurt.